Gwendal Daniel is a post-doctoral fellow in the SOM Research Lab at Internet Interdisciplinary Institute (IN3), a research center of the Universitat Oberta de Catalunya (UOC). He received his PhD degree in 2017 in the AtlanMod Team, at the Ecole des Mines de Nantes, France. He received the best thesis award from the GDR-GPL and the INFORSID association in 2018. 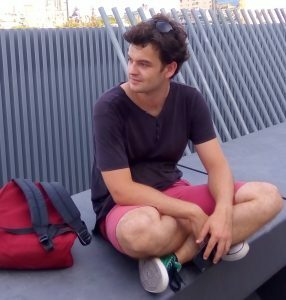 His research interests include Model Driven Engineering, Model Persistence, Query, and Transformation techniques, Domain Specific Languages, as well as applying model-based techniques for large-scale data applications. Gwendal is currently funded by the MegaM@rt2 ECSEL-JU project.